Discover the incredible landscapes, breathtaking vistas, and amazing trails of the Dolomite Mountains. 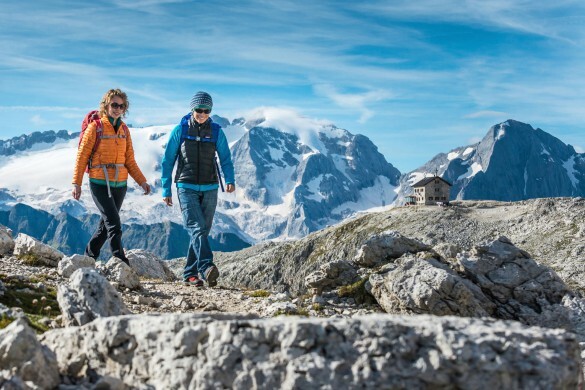 Explore this vast alpine playground with one our expert local guides, or on your own on a self guided trip! 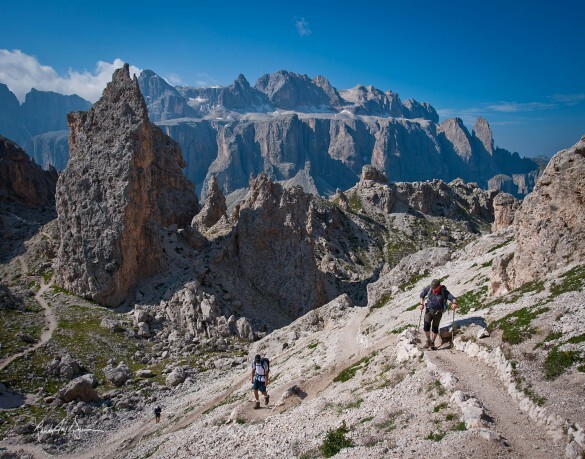 From short day hikes to long treks – Dolomite Mountains offers hiking trips for every interest and ability level! Wild alpine meadows, deciduous and evergreen woods, lunar landscapes, high altitude terrain, alpine lakes, soaring peaks, dramatic walls, and towering heights… sound like your kind of place? The Dolomite Mountains feature an infinite number of trails winding their way through these incredible landscapes, with breathtaking vistas adding to the drama. On our hiking itineraries, we visit some of the most incredible areas in the Dolomites – on foot. Whether you choose a challenging multi-day trek, or to have your days filled with more leisurely walks, we’ll show you the beauty of these incredible valleys and mountains. 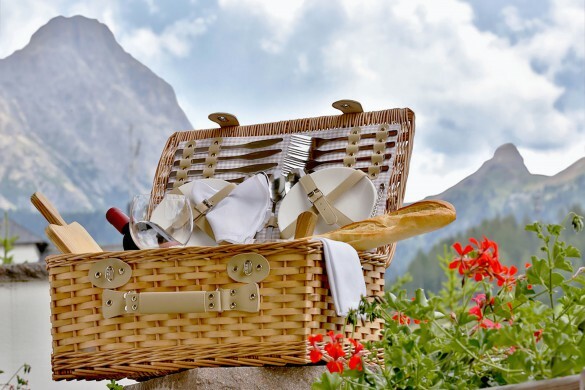 In addition to the stunning surroundings, we include plenty of time to explore the local culture and cuisine, allowing for an in-depth understanding of the area. 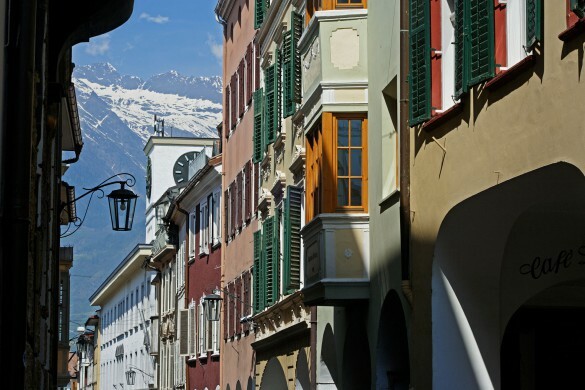 Incredible scenery, gorgeous hotels, hidden mountain inns, warm hospitality, fascinating history, and delectable cuisine – we combine all of this with great hiking, for a truly unforgettable experience in the Dolomites. GUIDED or SELF GUIDED – YOUR CHOICE! 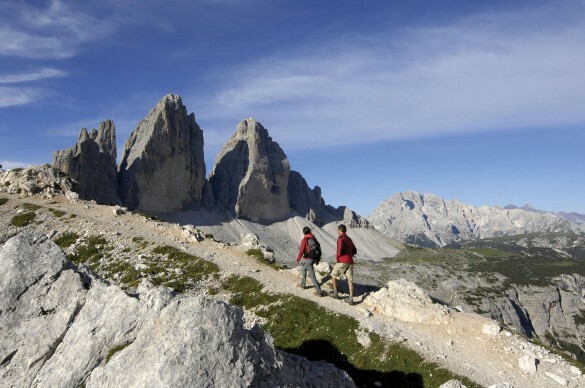 At Dolomite Mountains, most of our hiking itineraries can be taken as guided or self guided trips! Choose to travel with one of our expert hiking guides, or travel on your own at your own pace, and let us arrange all of the details for you! Click here for more information about self guided trips. Discover one of the wildest and most striking areas of all the Dolomites – the Dolomiti Fruiliani, and hike the classic “ring” around this uniquely remote region, the easternmost part of the Dolomites UNESCO World Heritage Site! 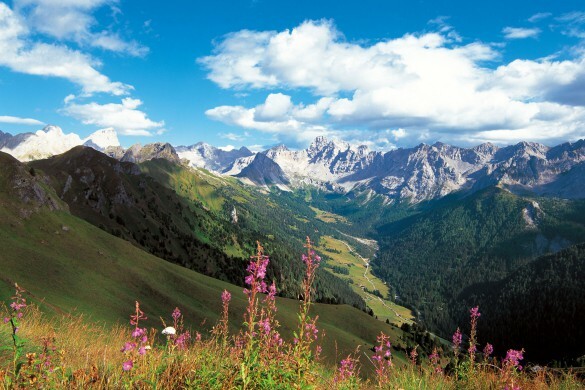 Experience 8 days of hiking around Val di Fassa, an incredible valley surrounded by a masterpiece of mountains! Hike the 6 of the 20 stages of the Trek of the Legends, across a variety of trails with incredible views, and legendary tales to accompany your journey! 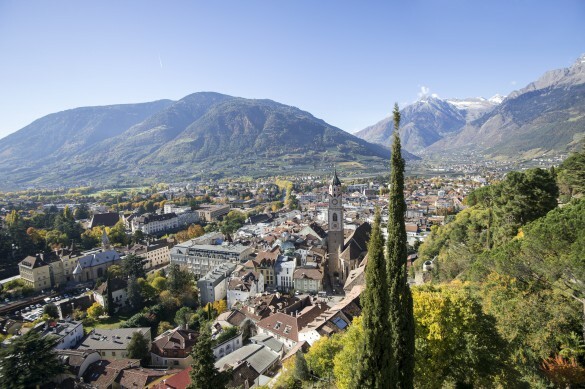 Hike in the lesser known areas of Bolzano and Merano, with their mild cimate and sunny surroundings. 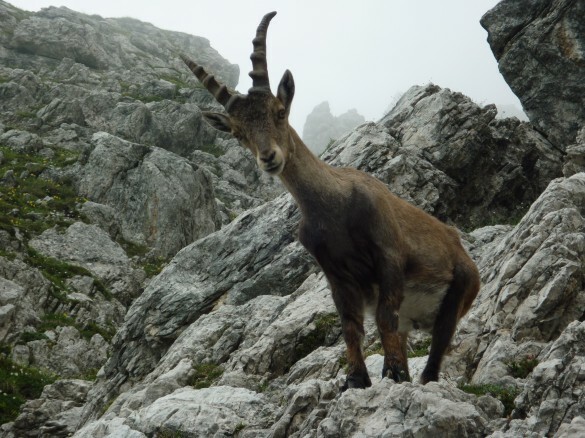 Hike on the Renon and Salto High Plateaus and Mount San Vigilio with stunning panoramas over the Dolomites and Austria! Towering peaks and rock walls combine with towns and villages steeped in history to make the perfect itinerary in the Dolomites! Alternate hiking with exploring the cultural history and diversity of this unique region – a UNESCO World Heritage Site! 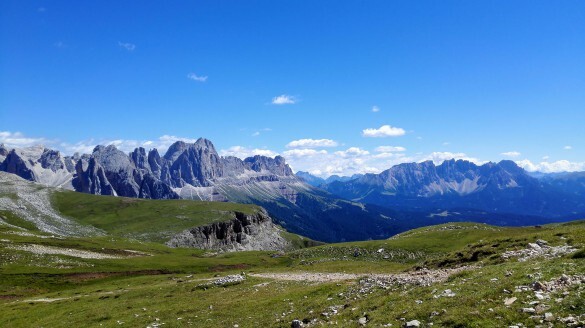 Experience a week of self guided hiking in two of the most beautiful valleys in the Dolomites! Hike in both Alta Badia and Cortina d’Ampezzo, traversing between the two. Plus, enjoy two nights at charming rifugios while hiking through one of the most beautiful mountain landscapes in the world! Hike across the Dolomites South Tyrolean Ladin valleys and explore the incredible geography and geology of the Dolomites – high mountain passes, incredible sweeping vistas of dramatic peaks, and lush green valleys set between vertical walls – as you experience the centuries-old Ladin culture that is so unique to this region. Hike across lush valleys set beneath Dolomite spires, high alpine plains rising up to meet majestic pale mountain landscapes, and from lake to lake in sculpted glacial valleys... Join us in the Western Dolomites! 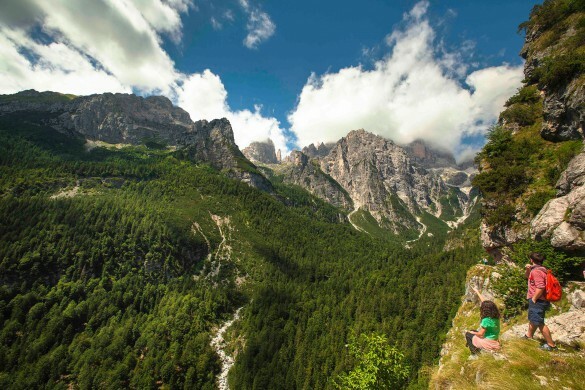 Experience a week of self guided hiking in two of the most beautiful valleys in the Dolomites! 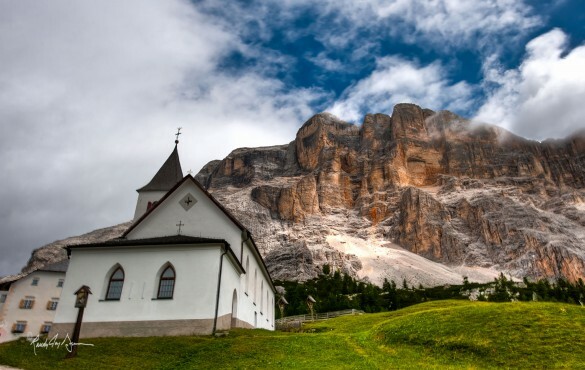 Hike in both Cortina d’Ampezzo and Alta Badia, traversing between the two. Plus, enjoy two nights at charming rifugios while hiking through one of the most beautiful mountain landscapes in the world! 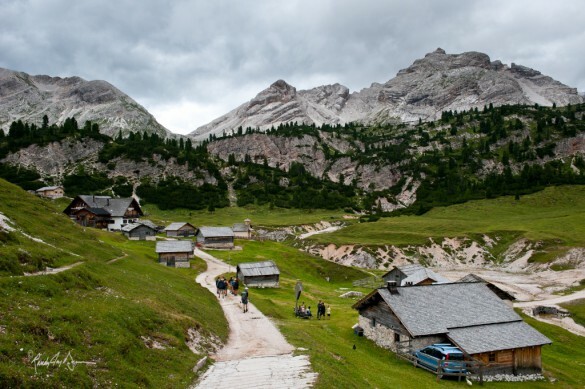 Explore Alpe di Siusi & Rosengarten on this 6-day adventure! Hike through vast meadows on the largest, most beautiful high-altitude plateau in all of Europe, complete with stunning wildflowers, abundant wildlife, and breathtaking vistas of the surrounding peaks of the South Tyrolean Dolomites. Explore Cortina d’Ampezzo, one of the best-known regions of the Dolomites, on this 6-day hiking adventure! Hike amidst glorious landscapes of pillars, pinnacles, and colossal rock walls, and enjoy the welcoming hospitality of a different cozy mountain inn each night!